The holidays are just around the corner and that means one thing for all those bakers out there: it’s cookie baking time. Holiday cookies are a tradition in many households. 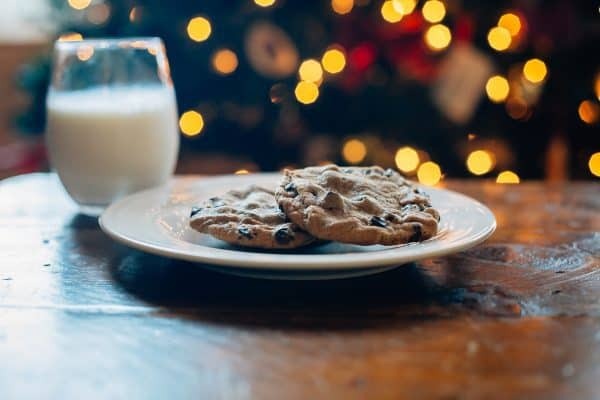 Whether you are getting ready for a school fundraiser, baking cookies to send to family, friends, or neighbors, or just getting ready for Santa’s arrival, these holiday cookie recipes are sure to please everyone. One way to make this tradition even more fun is to get the kids involved. After all, what better way to spread holiday cheer than with kids, right? These 4 holiday cookie recipes are delicious, simple, and fun to make with the kids. And along with some simple tools, baking can be easy and fun with kids. 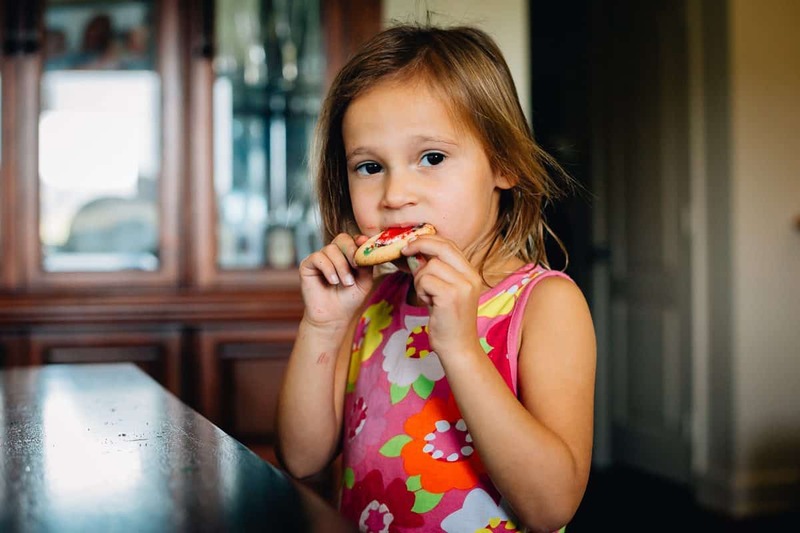 These cookies are a fan-favorite among kids because of their somewhat odd ingredients. To make baking with kids a little easier, you can use a pre-packaged sugar cookie mix and add in the chips, pretzels, chocolate chips, and sprinkles. This is a modified version from the traditional recipe to make it a bit more kid-friendly and easier to make. Bake sugar cookies according to instructions. Once cookies have completely cooled, allow your child to use the icing and sprinkles to decorate the cookies to their hearts desire. After all cookies are decorated, add unwrapped Rolo candies to the top. 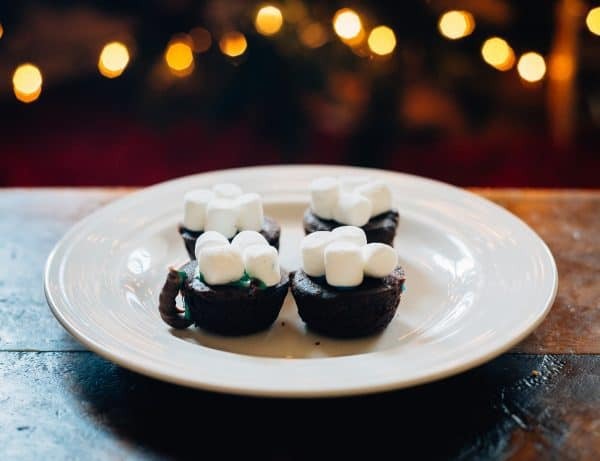 This is a modified kid-friendly version that is easier to make than traditional recipes.These cute little brownie hot cocoa cup cookies will be a major hit for friends and family members! Set out your pre-made brownie bites onto a cookie sheet. Place a small amount of cream cheese icing into the top of the brownie bites. Using a spoon, drizzle a small amount of melted chocolate almond bark onto the brownie bites. Add 2-3 miniature marshmallows to the top. Optional: place your brownie bites in the oven set to low broil for one minute to melt the marshmallows just a bit. Using the broken pretzels or candy cane, place two dots of icing on the ends. Attach the pretzels or candy canes to the side of your brownie bites to make cup handles.If you placed your brownie bites in the oven, allows them to cool before completing this step. You can never go wrong with a classic. 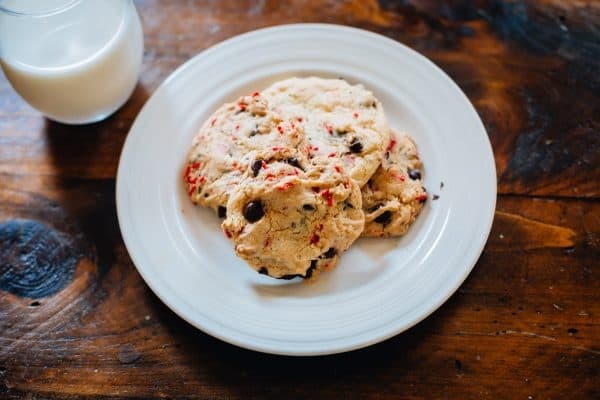 To make it a little more festive, add some crushed candy canes or mint candies to your cookie dough. Cream together butter and sugars. Add in eggs and vanilla and stir just until mixed. In another bowl whisk together baking soda and salt. Add in flour and mix. Add wet ingredients and dry ingredients together. Mix well. Fold in chocolate chips (and candy cane or mint candy pieces if adding). Place 1 tablespoon-sized pieces of dough onto cookie sheets about 2 inches apart. Bake for 8-10 minutes or until edges are golden brown. Allow to cool for 2 to 3 minutes, then transfer to baking racks to cool completely. 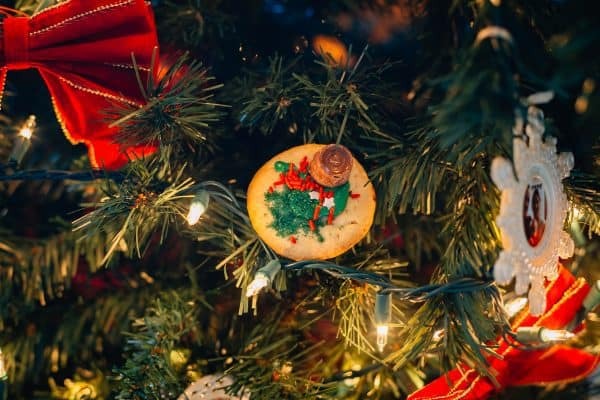 Holiday cookie baking is a fun tradition for both parents and kids. There are so many different recipes to try that you will always find a cookie that everyone likes. 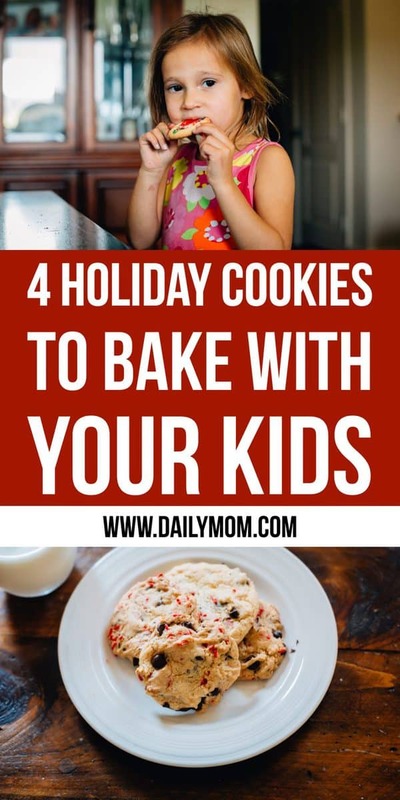 These 4 simple holiday cookie recipes are easy to make with your kids. So get your bake on, Pinterest mom! Check out these tips on how to make holiday baking easier with your kids.